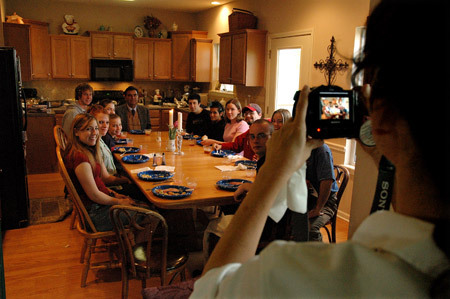 Sister Cindy takes a picture of her husband and daughters sitting at their kitchen table along with students who have come to their open house. Jed said he feels that the prospect of a good home-cooked meal is a big draw in bringing college students to their home. 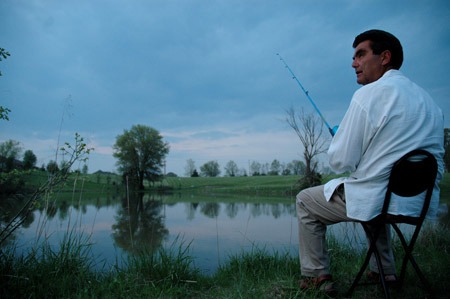 Jed recently began fishing in the pond behind his home in the suburbs of Columbia. He said he feels fishing is a great activity to pass on to his daughters because "Jesus taught that you should be a fisherman of men."